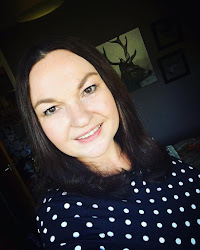 I've noticed something lately dear reader, when I am on my own and left to get on with my life I have less anxiety than I've had for over 15 years. There's something about living your life constantly walking on egg shells but I spent a lot of the time which has passed before me never knowing what would be the next thing to trigger the dark cold silences. When they happened all emotion would be switched off like a punishment and situations could become so tense that in myself I would want to just explode and break down. I remember in the early years of our marriage and I would go and hide in the loo and cry before coming out like nothing had happened because that's another thing about people with passive aggressive tendencies, they can't can't handle emotion. I was actually told "I can't handle your emotions so if you want to talk to me about something you better not cry" and so of course I learnt to shut those emotions away and I went from being someone who cried at most things (kittens, puppies and romantic movie endings) to someone who has massive problems unlocking her own emotions to be able to let them out. I want my children to be able to express all of their emotions whatever they are, don't get me wrong, give me a primary school nativity play and I am still a weeping mess which is exactly as it should be but I've lost the ability to break down and get deep seated pain out of my system, this has of course over the years lead to anxiety and panic attacks and during my marriage if that happened that was as bad as being emotional, there would be anger and almost a "pull yourself together" attitude. When I went through my years of dark emotional mental health I really wasn't as supported as I should have been, it was only ever when it got to crisis points and I was just about to see doctors that the darkness would soften and kindness would be shown because of course the passive aggressive person never wants anyone else to think badly of them. You know they're often the kind of people who will do anything for anyone, it's not a selfless act though, it's so they can believe that people will think highly of them. I spent my life proclaiming our love and telling everyone how amazing my husband was, he loved it, he drank it up, before nights out he would ask me how he looked and expect compliments, it wasn't exactly reciprocated and if anyone else gave me compliments he hated that, possibly because of his deep seated jealousy issues, there been more than one or two male friends warned off over the last fifteen years even though I would never ever have done any misdeed and it's just a case of me having lots of lovely male friends as well as lovely female friends. There's worse stuff of course, deeper darker stuff which I'd prefer to not put out there, I have no problems with my children reading this blog because it's the truth, a document of my life and they themselves will only read it when they feel able but I don't want to cause more mental scars than they already have. If you are in a similar situation you must know that you are never to blame, no matter how bad you feel and if you are reading and you recognise these behaviours in yourself please consider going and getting some help, I think it is possible to change but therapy needs to occur so you can deal with the very deep seated issues which caused the behaviours in the first place, passive aggressive is definitely a learned behaviour and so perhaps with cognitive therapy it's also possible to unlearn those destructive personality aspects. I hope this post hasn't been too depressing for a Friday, the good news for me is that given 6 months I think I shall probably not suffer from anxiety and panic attacks anymore, I still have times but that's because of the last grasps of control which are still occurring despite me being free, one day though, full on sparkle with no hint of ever being frightened again!